The 2019-20 Regional NYC Competition offers NYC-based students with a budding business the opportunity to compete with other student-entrepreneurs for a chance to appear in the National GSEA Competition, and ultimately the Global Student Entrepreneur Awards in South Africa. Please view the NYC competition website here. We’d love to see you at this year’s Fast Company Innovation Festival. The festival will bring extraordinary personalities together for dynamic talks, hands-on workshops, unexpected performances, and behind-the-scenes tours, designed to inspire creativity and innovation. We’d like to invite you to attend all the 92Y sessions. All you have to do is register now with code 92YPACE! 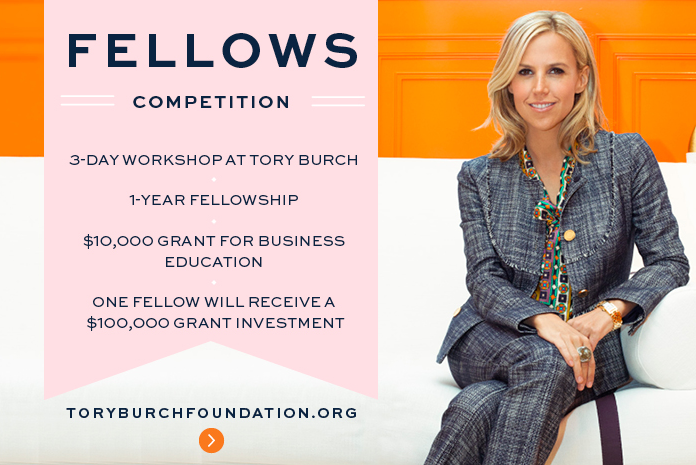 We want to share the Tory Burch Foundation Fellows Competition with all inspiring women entrepreneurs and encouraging them to apply. Women entrepreneurs in the United States can apply to become one of ten inaugural Tory Burch Foundation Fellows. The New York Business Plan Competition (NYBPC) is a venture creation and innovation competition that was established in 2010 to encourage innovation and entrepreneurship throughout New York’s colleges and universities. Now in its 8th year, the NYBPC is recognized as one of the most successful programs of its kind, with over $500,000 in prizes provided to winners. It’s a two-stage process. The NYC Regional competition will be held on Friday, March 31st at LIU’s Brooklyn Campus. The competition is open to all enrolled graduate and undergraduate students. Microsoft and Makerbot are supporting the NYC competition, plus many entrepreneurs and others. An Info Session for students will be held on February 13 from 2-4 PM at Microsoft in Times Square. Team applications are due on March 10, 2017 at midnight. Student teams can compete in one of these six categories, with prizes to be split among the top three in each category at the finals in Albany, on April 28, 2017. During the four-week period between the NYC competition and finals, two winning teams in each category will receive NYC prizes of valuable services offerings in strategy, marketing, skill-building, communications, etc. to strengthen their business ideas and presentations. This will make a real difference to their chances of winning in Albany. Applications are due March 10, 2017 at midnight. Tell us why your business should win the grand prize grant of $10,000! A maximum of 10 selected qualifying Contestants will have a chance to step on stage and give a :90 second “elevator pitch” followed by 3 ½ minutes of questions from the judges on December 6, from 4pm to 7pm at the Adorama Live Theatre at 1010 WINS. A Grand prize winner will be announced at the conclusion of the event and they will receive the $10,000 grant. The Top 10 contestants will also receive a Canon MAXIFY Printer. Small Businesses with up to 100 employees throughout the 1010 WINS listening area in the New York Metropolitan Area can enter this contest. Registration deadline: November 20, 2016 at 11:59 p.m.
Are you a full time student enrolled in an accredited institution and have a creative and working technology solution for a real world issue? We want to share Tory Burch Foundation Fellows Competition with all inspiring woman entrepreneurs and encouraging them to apply. Women entrepreneurs in the United States can apply to become one of ten inaugural Tory Burch Foundation Fellows. October 23, 2015 | 8:00 a.m. - 5:00 p.m. Registration opens September 1st. FREE ADMISSION! 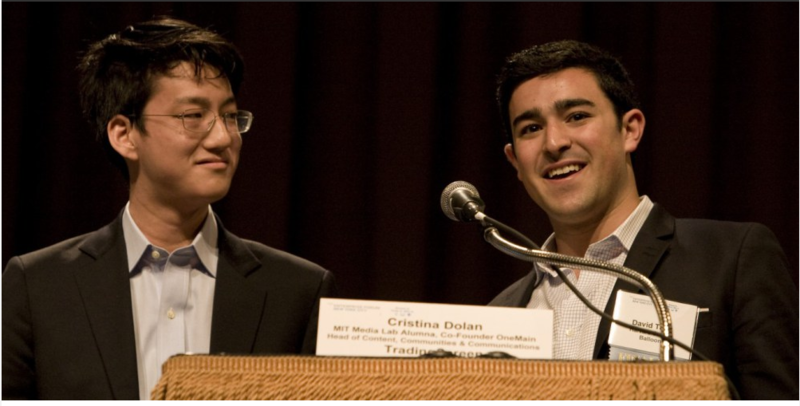 Students, you are tomorrow’s future executives, thought leaders and technology innovators. Don’t miss this very cool event that offers unprecedented access to some of the smartest people in the media industry. Invest in your future and leave with new ideas, new contacts and maybe even a new direction. The first 100 to register will have access to the ‘Ask Me Anything: Lunch With An Executive’ session. Students can have an up close and personal discussion with a media executive over box lunches. Check in and morning coffee with light snacks is from 8 am to 8:45 am. The full program begins at 9 am and includes multiple panels, career workshops, keynote speaker, networking opportunities, door prizes and afternoon snacks. 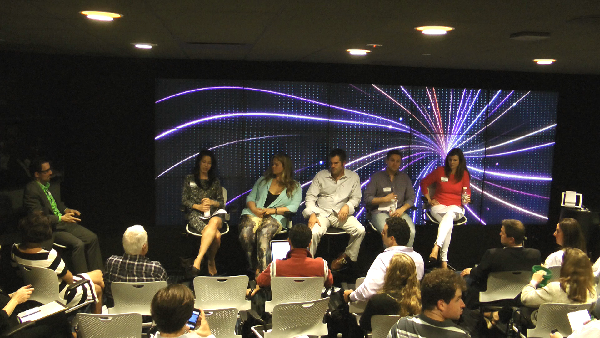 Apply to pitch at the WCA’s Health Tech ’15! 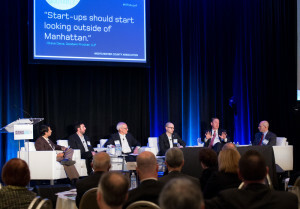 We’ll select the top applicants to pitch to a panel of hospital CMOs, CSOs, and major health tech purchasers to pitch at the WCA’s event, “Face Time for Entrepreneurs,” to be held May 19, 2015, at 5 p.m. at the Doubletree Hotel in Tarrytown, New York. One of the biggest hurdles for entrepreneurs is getting new innovative products before people who can actually decide whether or not to buy them. Now, health tech entrepreneurs, developers, and startups get to pitch their Big Ideas to the region’s leading healthcare decision makers and get constructive feedback in real time. This type of access is happening in Westchester County, where the WCA, the healthcare industry, and the business and education sectors are all collaborating to grow the region’s vibrant Innovation Economy. A Call for Geniuses: OZY announces a celebration of young genius. This spring, it will award 10 summer grants to college students, with the aim of backing the next Albert Einstein, Mark Zuckerberg, Oprah Winfrey or Harper Lee as he or she writes a book, films a documentary or launches a new company. The competition opens this month, with winners announced in early May. How to Enter: Step 1: Fill out a short questionnaire about your project. Step 2: Upload a short video or photo with a description of your project for the public to vote on. Winners: Ten students will win up to $10,000 for their summer projects, and their work will be profiled by OZY and its partners in the fall. Judges: Submissions will be open for public voting and judged by a panel of executives, artists and advocates at the top of their fields, including Laurene Powell Jobs, founder of Emerson Collective, and David Drummond, chief legal officer and vice president, corporate development at Google. Eligibility: The competition is open to undergraduate students at colleges and universities. About OZY: OZY is an 18-month-old magazine that delivers original reporting and compelling narratives from around the world - in a digital format. Founded by former CNN/MSNBC anchor Carlos Watson and run by a former Page One editor of the Wall Street Journal, OZY reaches 20 million people a month. It has partnerships with outlets like CNN, NPR and Huffington Post. CONTEST PERIOD: Contest begins at 9:00 a.m. Pacific Time (PT) on March 18, 2015 and ends on 11:59 p.m. Pacific Time (PT) on April 18, 2015 (the "Contest Period"). Entries must be submitted during the Contest Period to be eligible to receive a prize. Late entries will be disqualified, and Sponsor will determine the timing of entries in its sole discretion. VOTING PERIOD: Voting begins at 9:00 a.m. Pacific Time (PT) on March 18, 2015 and ends on 11:59 p.m. Pacific Time (PT) on April 22, 2015 (the "Voting Period"). During the Contest Period, users may visit the Contest Site (as defined below) to vote. Users will be able to vote up to one time per entry per day by clicking the heart icon by the entry description. Users must provide a valid email address to vote.